Did you ever wonder what the big deal is about the deforestation of the rainforest trees? It is a big deal, and individuals should be concerned about the situation. 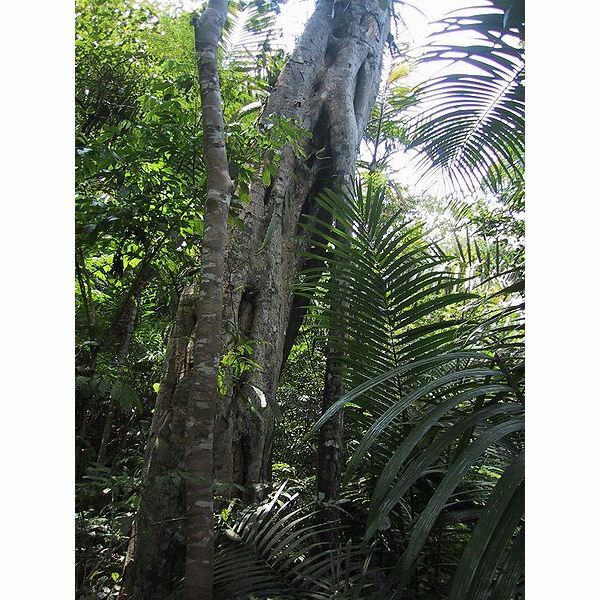 Let’s examine some interesting facts about Amazon rainforest trees. This data may surprise, shock, or make you sad, but knowing the facts is the first step in stopping the deforestation of the rainforest. Can the Rainforest be Saved? This top ten list highlights some, but by no means all, important reasons to halt deforestation and other damage to the Amazon rainforest plants and trees. 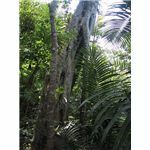 See how many of these facts about Amazon rain forest trees are familiar versus how many you never considered. Check the facts, and decide to get more involved in protecting one of the planet's most valuable assets. Most environmental experts agree that rainforest trees have earned the well-deserved nickname the “lungs of our planet." Between 20 and 40% of the world’s oxygen supply is replenished by Amazon rainforest vegetation recycling carbon dioxide. The tallest and oldest trees are found in the emergent, or top, layer of the rainforest. These trees have tiny leaves to help minimize the loss of valuable moisture by evaporation, and they produce seeds with wings that can be dispersed by wind. The canopy, or roof-like cover, of a rainforest contains mature tall trees. Their leaves have pointed tips and smooth flat surfaces so they shed moisture faster. Many of the trees produce attractive fruits filled with seeds. The tasty flesh attracts animals and insects that eat the flesh and disperse the seeds, helping replenish the Amazon rain forest. The youngest trees in a rainforest are found in the understory, or middle, layer. An interesting fact about these trees is they produce flowers on their trunks, rather than branches. This phenomenon is never seen in temperate region trees. Did you know the vegetation on the trees in the canopy is packed so tightly together that water has a hard time getting through it? Raindrops can take as long as ten minutes to make the journey from the top of the trees to the canopy floor. Rainforest trees are specially adapted to survive depending on the rainforest layer upon which they grow. For instance, rainforest trees may have larger leaves in some layers to help collect sunlight and moisture, or smaller leaves to prevent mildew and mold formation. Rainforest trees are the guardians of the nutrients, acting as the natural storehouses. When the trees are cut down or destroyed, so are the nutrients. Rainforest trees and vegetation produce over 3,000 varieties of fruits and nuts like: brazil nuts, bananas, coconuts, figs, and coffee, as well as many others. On a per-acre average, there are more trees in 25 acres of rain forest than in the entire United States. The leaves of some rainforest trees are large enough to protect a human from rain. When rainforest trees are cut down, the cost goes far beyond the loss of the trees. Amazon rainforest animal and insect species lose their homes and could become extinct. Spices like cinnamon and cloves, which come from the tree bark, become more costly and rare. Valuable sources of food are diminished or eliminated. Global warming may increase, and oxygen is depleted at a faster rate. Knowing facts about Amazon rainforest trees can motivate individuals to become involved in efforts to save the rain forest. For more information on why it is important to save the rainforest, read "Reasons for Saving Rainforest Trees."